An important consequence of the recent record drought in parts of California is the occurrence of major wildfires. The Butte, Valley and Soberanes fires occurred in the last 18 months and have been some of the largest in California history. These tragic burns caused many adverse impacts at the time, and continue to create natural hazards due to the increased risk of damaging debris flows that can occur after the rains return. California’s burned steeplands are prone to hazardous debris flows during winter storms. Wildfires remove vegetation and alter soil properties, increasing the likelihood of debris flows, even for relatively low intensity storms. When rainfall of sufficient intensity and duration impacts recently burned steeplands, landslides and surface runoff can mobilize ash, rocks, and other material into debris flows that devastate life and property. California’s Department of Water Resources (DWR) is sponsoring work to examine the role of Atmospheric Rivers on flooding and landslide occurrence and magnitude. The project is led by the Center for Western Weather and Water Extremes (CW3E) at Scripps Institution of Oceanography and includes a team of experts from Scripps, California Geological Survey (CGS) and the U.S. Geological Survey (USGS) Landslide Hazards Team. Within these burn areas, the geology team, led by Jeremy Lancaster of CGS, is deploying sensors and making measurements in the burn areas when conditions warrant. Doing so requires making decisions on whether to make observations at a study site following a storm event. In support of this, CW3E Graduate Student researchers Nina Oakley and Meredith Fish are using new knowledge of weather systems capable of producing intense precipitation, especially Atmospheric Rivers, to evaluate the potential for high-intensity precipitation over the Soberanes Fire, Butte Fire, and Valley Fire burn areas to advise Lancaster. Key to these preparations and day-to-day decisions are the new Atmospheric River forecasting tools at CW3E. Additionally, post-storm, CW3E scientists will compile meteorological data relevant to the storm event such as maximum precipitation intensity, storm total precipitation, radar imagery, an evaluation of Atmospheric River variables, and any information unique to that storm. For events that produce a debris flow response, a more in-depth case study will be conducted combining both geologic and atmospheric information. 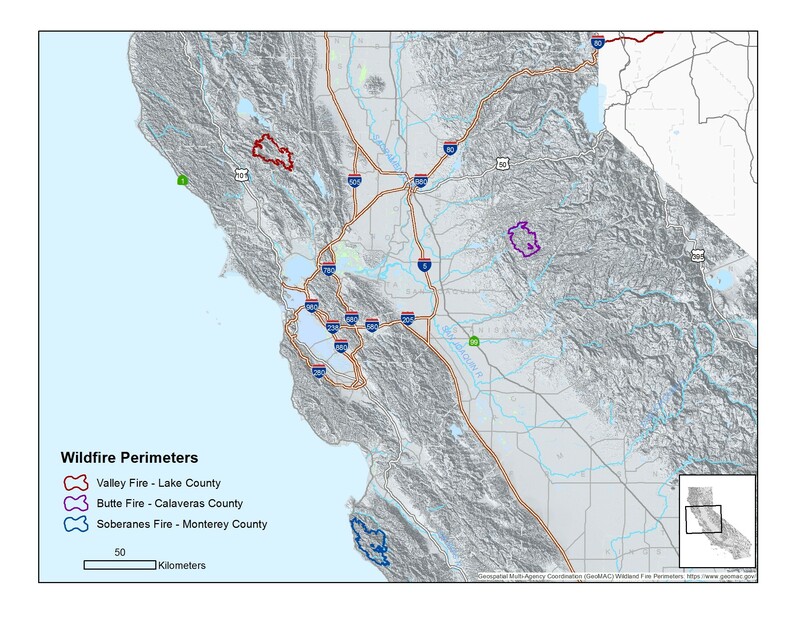 Figure 1: Map of three burn areas that we propose to assess: Soberanes, Valley, and Butte wildfires. 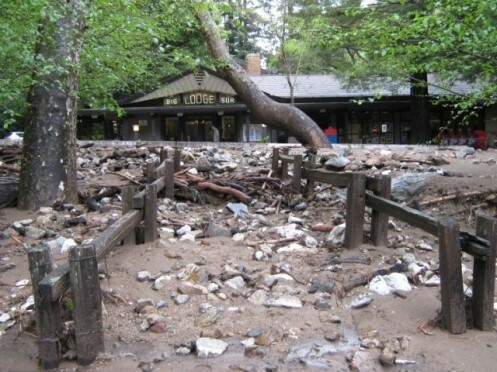 Figure 2: Debris flow deposits stopped by cement barriers outside the Big Sur Lodge in California. This event was triggered by rain falling on burned steeplands in 2009, near an area now burned again by the Soberanes wildfire. (credit: David Longstreth, CGS). 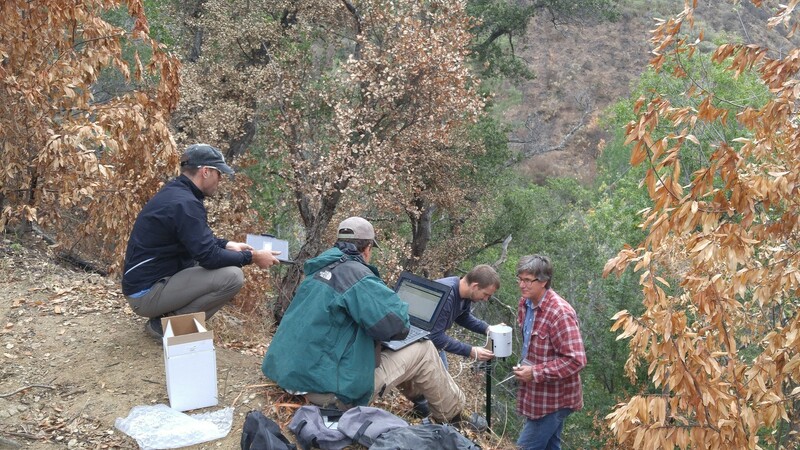 Figure 3: During Fall 2016, USGS and CGS researchers install a rain near Pfeiffer Falls in the Soberanes Fire burn area to measure the rainfall intensities that trigger post-fire debris flows.